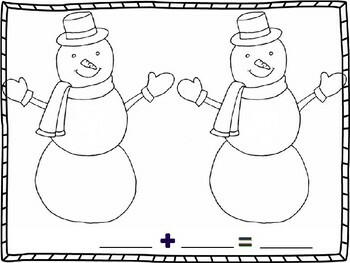 Print out the snowman addition mats and laminate. Once laminated they can be used as dry erase boards. Roll two dice and have students use manipulatives such as small buttons or beads to add the corresponding amount of buttons to the snowman's belly. Solve the addition problem on the bottom of the board.